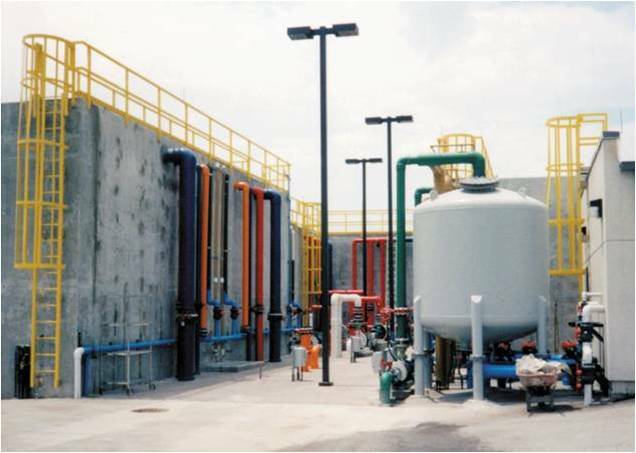 Chemical Industry | GEF, Inc.
Due to its non-corrosive properties, fiberglass has been used in chemical plants since the 1950s. Even in complete immersion applications, fiberglass outlasts aluminum and steel. Compared to aluminum and steel, fiberglass can yield tremendous financial savings because of longer life cycles and the lack of maintenance inherit to composites. Perhaps more important, fiberglass is the better safety alternative. Our components are much lighter than similarly sized steel components, making them easier to install. Our non-skid surfaces help to protect against slips and falls around water and chemical spills. Electricity, no worries: fiberglass is non-conductive. 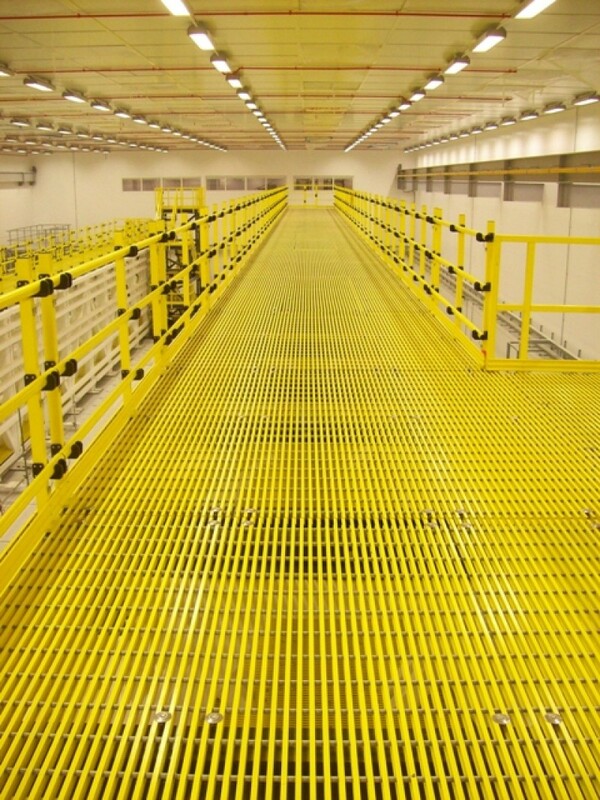 I-6000 DURAGRID® grating is used in thousands of building applications. 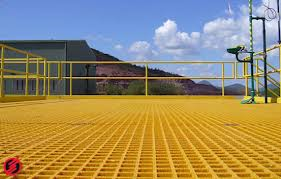 From platforms and walkways to underwater applications DURAGRID® pultruded grating will fit the need. Its non-corrosive and lightweight, nature allows builders to use and assemble it themselves without the need for any heavy equipment. 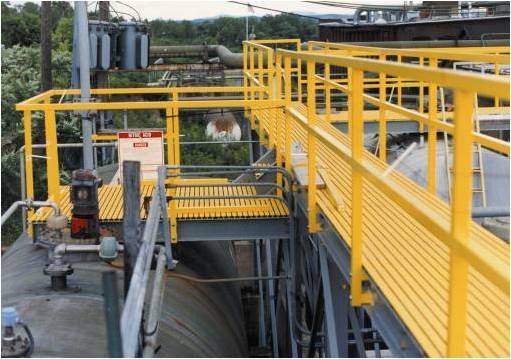 Choose DURAGRATE® molded grating for walking surfaces. It has a very high resin content of 65% which provides extended maintenance intervals. 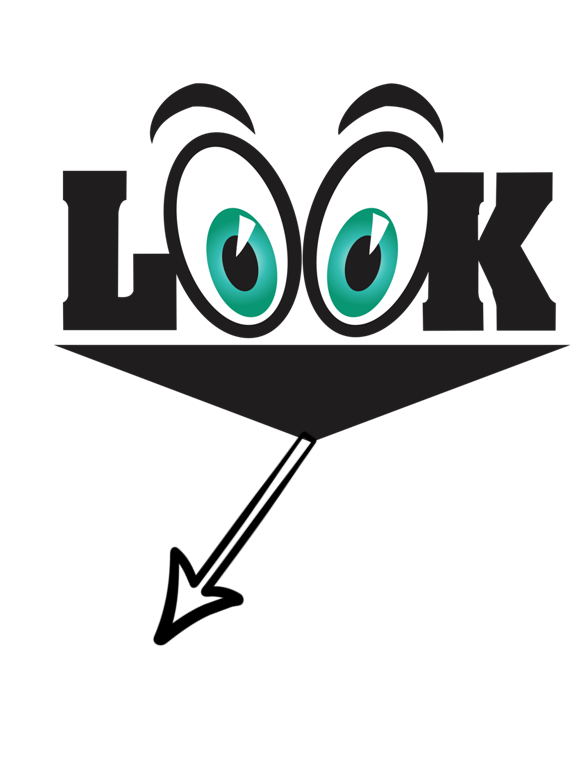 It is lightweight and easy to handle, cut and install. SAFRAIL™ is the most versatile and durable handrail system available. It is offered in round, square and channel top handrail profiles in polyester, vinyl ester or phenolic resin systems with various connections options and configurations. This industry has proved that fiberglass ladder and cage systems have always outlasted steel and aluminum with little to no maintenance. Several products, including COMPOSOLITE®, DURASHIELD®, EXTREN®, SAFPLANK®, and custom pultrusions can be used to fabricate odor control covers. 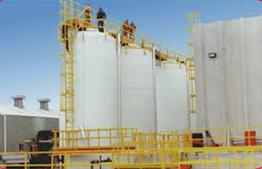 FRP composite covers are extremely corrosion resistant, strong and feature low thermal conductivity.